I generally teach mathematics. While this subject is usually considered brutally objective, in a real sense it’s an ideology: the ultimate goal of my class is, indeed, to get all my students to chant the same thing at the same time, like a pack of local news journalists (and I use that word with maximum looseness). I worry that perhaps I’m teaching a religion (and the great mathematician Godel would say my concerns may be valid). In ancient times, religion and mathematics were intertwined—no real surprise, since mathematical results and calculations can seem like magic to the uninformed. But this is the modern world, and mathematicians no longer claim any particular god is relevant to their understanding. Now, “1 + 1 = 2” can be viewed as a definition or a calculation, but either way it’s just an abstract thing. On the other hand, if I take one apple, put it next to another apple, I get something that looks much like “2 apples,” and my abstract calculation lines up with reality. Bottom line, mathematics might be a religion, or an ideology, but the things mathematics predicts and says line up with reality so consistently that I don’t worry much about the possibility that I’m teaching a false ideology. I honestly believe the concepts and beliefs I try to “impose” upon my students are valid. I understand and respect that faculty in other fields likewise believe they teach True Knowledge, but there does seem to be a difference. When a student in my class corrects me, for example, I’m willing to discuss it. Sometimes I do make an error after all, but often enough the student’s correction is due to his incomplete understanding of my “ideology.” So I listen to his concerns, and we try to resolve them using the “ideology” of mathematical reason. Now, there’s a time and a place for such discussion, and never in one of my classes, thankfully. Perhaps if I’d had a student come to my class and spout Marxist ideology, instead of mathematics, I might well toss him so I can get back to discussing my own system of belief. Christianity is something of an old religion. My knowledge of The Bible is sadly lacking, but I’m confident there’s nothing in there about there being 32 (more?) genders, which is all the rage nowadays. Heck, we’ve had 2 types of bathrooms (one for each gender) for much of the modern world. So, we’re in a course on Christianity, and he’s saying something consistent with Christian ideology. Perhaps the context was inappropriate? I’ve seen my share of TED talks. They vary wildly in quality, and this one is certainly not on the high end (only a few are). I watched it so you don’t have to, and a summary is as follows: “no information.” It’s just a personal testimonial of a transgender person, with some opinions, presented in a “stand up comedy” format. Anyway, was the student interrupting class with his fairly common interpretation of Christian belief? The professor invited comment, and after the first-class citizens had nothing to say, this male, a second class citizen, spoke up. Did the student make his assertions strictly based upon scripture (a legitimate enough thing to do in some classes, but questionable in others)? 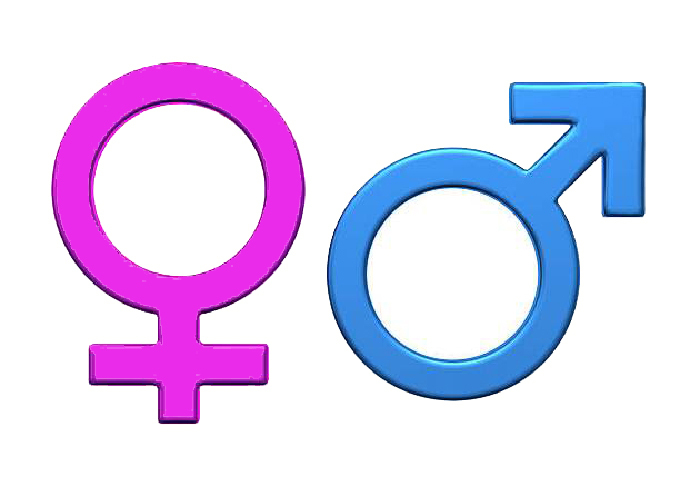 He told the class that the official view of biologists is that there are only two genders. The feminist professor booted him from class and asked him not to come back. She referred him to the public university’s Academic Integrity Board (AIB). Ingle needs to complete the class to graduate at the end of the semester. —wait…why is a feminist teaching a Christian course? A permanent punt from class! Wow, I’ve caught students cheating in extraordinary ways, and admin won’t take them out of the classroom. What happened to higher education that academic fraud isn’t a problem, but speaking words in opposition to the enforced ideology merits removal from a course? Now, I don’t have all the facts here, just what the article says, but apparently there was a hearing to address the list of charges against the student (I won’t list them all), and the student was cleared. So, yes, she’s pretty much calling this kid RACIST for advancing an argument supported with facts. This really is what much of higher education is turning into, not simply indoctrination, but forceful indoctrination where alternative views, even ones with valid arguments, cannot be heard, only shouted down with the name-calling I’ve heard so many times before. At least when students tell me I’m wrong, I allow them to speak and address their concerns. I’ve never once called one RACIST for challenging my beliefs, and so once again I find reason to believe my ideology of mathematics is superior.